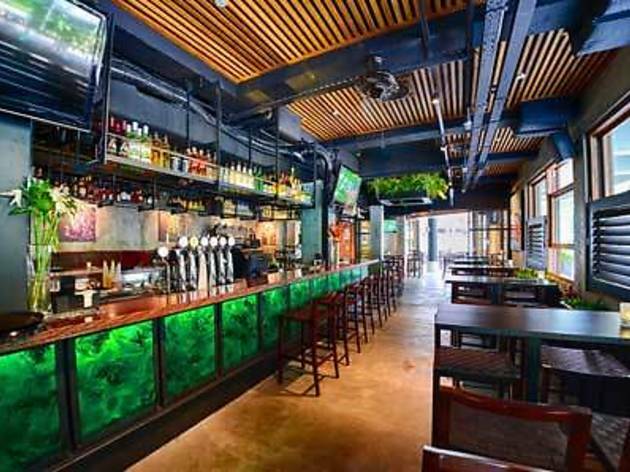 An offshoot of the long-running New Zealand restaurant chain Lone Star, Fern & Kiwi provides a New Zealand food, booze and music option in Clarke Quay. Led by New Zealand chef Mathew Metcalfe, the restaurant offers Kiwi-influenced dishes and seafood such as Marlborough Flaky Sea Salt & Pepper Squid ($15.50), Line-Caught South Island Blue Cod Fish & Chips ($29, fried in Steinlager beer) and Canterbury Plains Rack of Lamb ($36). 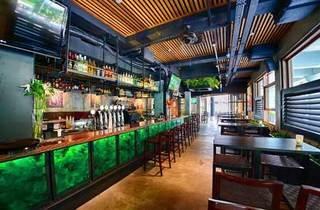 The restaurant and bar occupy two storeys, with capacity for 220 diners, plus a bar and dance floor on the lower level. Tip: Live music in the bar starts nightly at 11pm.